"Very friendly and very well mannered." "I have only positive things to say about my meetings with Dr. Bonpain, Dr. Wycoff." "Loveee Dr. Wyckoff, I think all of the staff is excellent!" "Dr Rodrigo is the best. He’s very easy to talk to and he listened to my concerns." 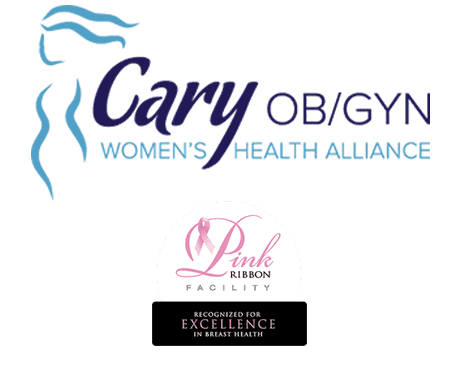 At Cary OB/GYN, We Have a Dedicated Care Team to Provide You With Advanced Care for Your Needs. We aim to partner with women of all ages to achieve and maintain superior health. Our goal is to provide our patient partners with top quality care and expertise for their health. As a practice, we will be successful only when our patients have experienced a satisfactory visit with our medical staff. Did you know that 10% of all couples have trouble conceiving? If you’re one of them and have been diagnosed with unexplained infertility, don’t give up. You can still have a baby! Learn about treatment options for unexplained infertility. We are pleased you have chosen to use the Cary OB/GYN Patient Portal to communicate in a secure and confidential manner with your healthcare team 24/7! For an invitation to access your portal, please call us.